Lapostolle was founded by Alexandra Marnier Lapostolle and her husband Cyril de Bournet in 1994. The Marnier Lapostolle family, founders and owners of the world-renowned liqueur Grand Marnier, is famous for producing spirits and liqueurs, but the family has also been involved in winemaking for generations. In creating Lapostolle, the family has pursued the same uncompromising approach to quality that make Grand Marnier a global success. Its objective is as simple as it is ambitious: to create world-class wines using French expertise and superb terroirs of Chile. 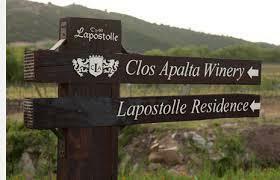 Today, Lapostolle owns 370 hectares in three different vineyards and produces a total of 200,000 cases spread over Sauvignon Blanc, Chardonnay, Cabernet Sauvignon, Merlot, Carmenere and Syrah. Lapostolle is distributed in more than 60 countries around the world. Pale yellow with green edges. Very expressive with aromas of fresh herbs and cucumber, white fruit such as pears along with floral notes. Balance and fresh mid palate with good volume and a long lasting finish. Perfect for an aperitif, clams with cheese, lemon and coriander and jam and melon salad. Wine Enthusiast 93This lusty Cabernet is earthy, jammy and warm on the nose. In the mouth, this is broad and massive, with an undercurrent of firm tannins that provide structure. Deep dark flavors of blackberry, plum and fig finish with strength on a fruit-packed finish. Drink through 2025. Brilliant pale lime yellow color. Very expressive with aromas of tropical fruit and delicate citrus notes. White fruit such as peach and herbal tones. Balance and fresh on the palate - vibrant and fresh acidity, with good volume and a long lasting finish. Brilliant red purple color. Ripe red fruit aromas such as berries with some notes of sweet spices and fresh black and white pepper. Medium structure with very nice texture. Juicy tannins and red fruit at the finish. This rich red is marked by game and spice notes to its ripe plum and crushed black cherry fruit. Mouthfilling, with accents of mesquite, mocha and maduro tobacco. James Suckling 95"One of the top syrahs of Chile, it has intense granite and dark berry character. Full-bodied, with racy tannins and a long finish of nutmeg, fruit and stones." Wine Spectator 93 "This is a rich and enticing red, with alluring aromas of warm cocoa and roasted vanilla bean giving way to lush plum sauce, cassis and raspberry ganache flavors. The long, smoldering finish is velvety and dripping with pure fruit, all of it backed by a suave tobacco note.